Need a cute gift for classmate gifts? Something to put in a goodie bag? 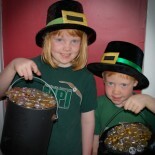 Or just looking for a fun activity to do with your kids? 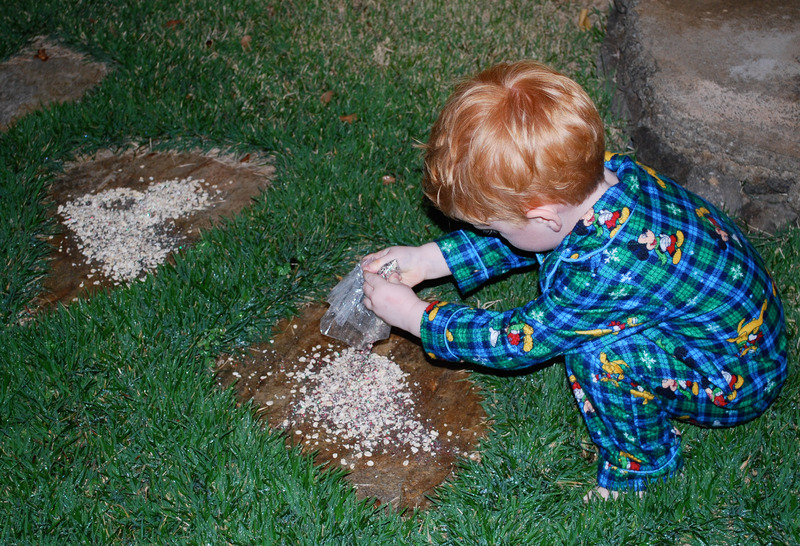 How about making Reindeer food! 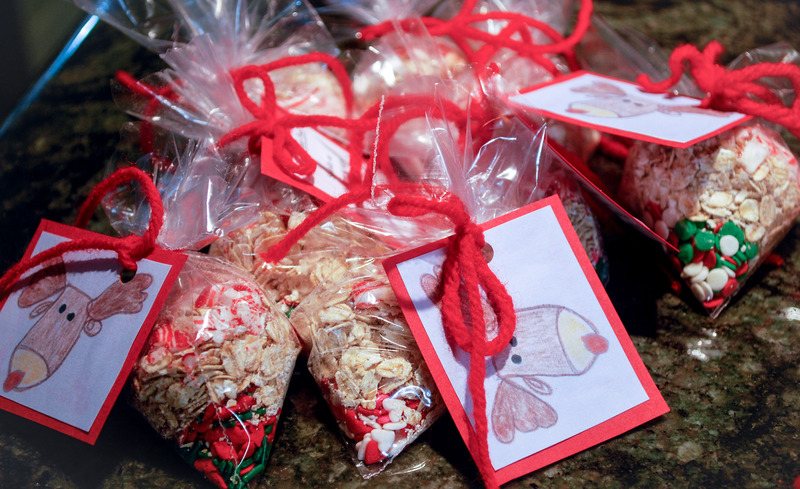 This little bag of oats and sprinkles is sure to guide Santa’s sleigh to your home. 1. 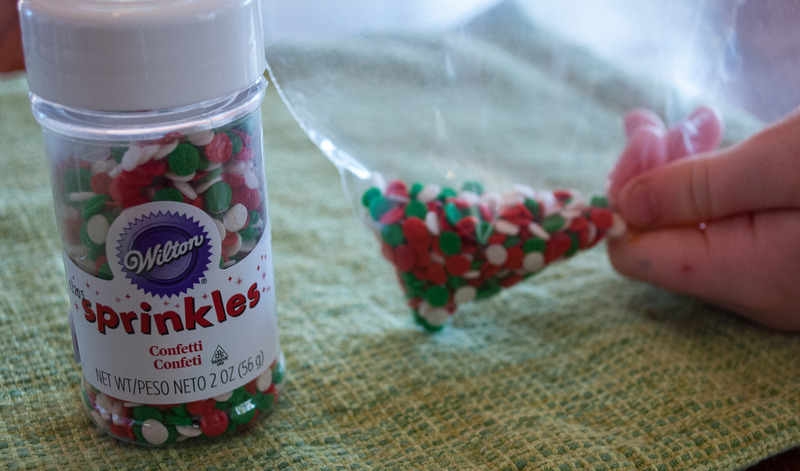 Pour a a spoonful of candy sprinkles into a ziploc bag. 2. 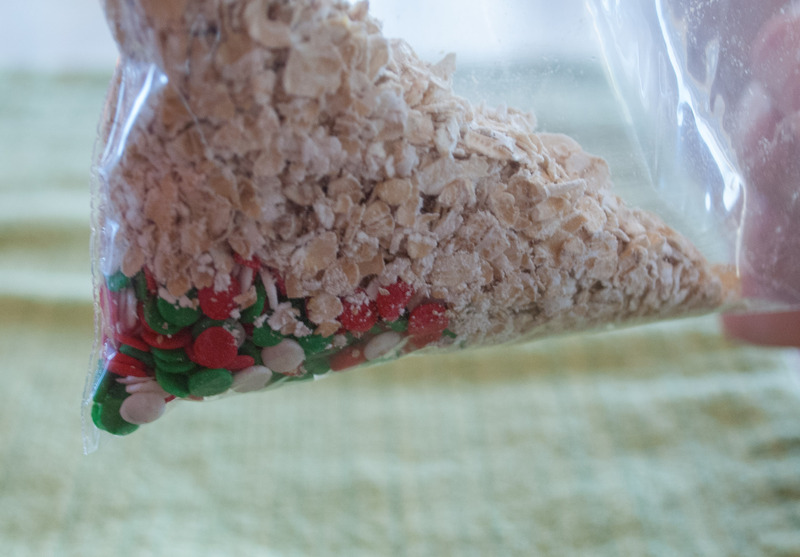 Add a scoop (about 1/4 cup) of oatmeal to the bag. 3. 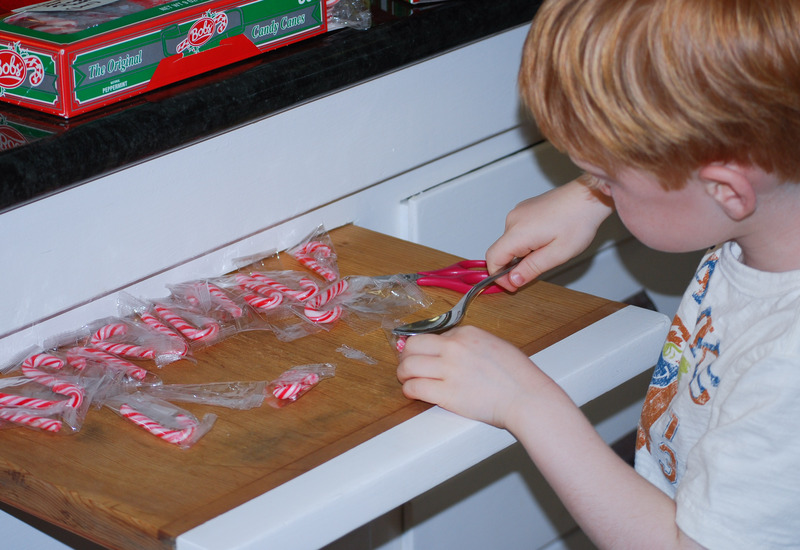 Smash the candy canes with the back of a spoon while they are still inside their wrapper. Trust me. 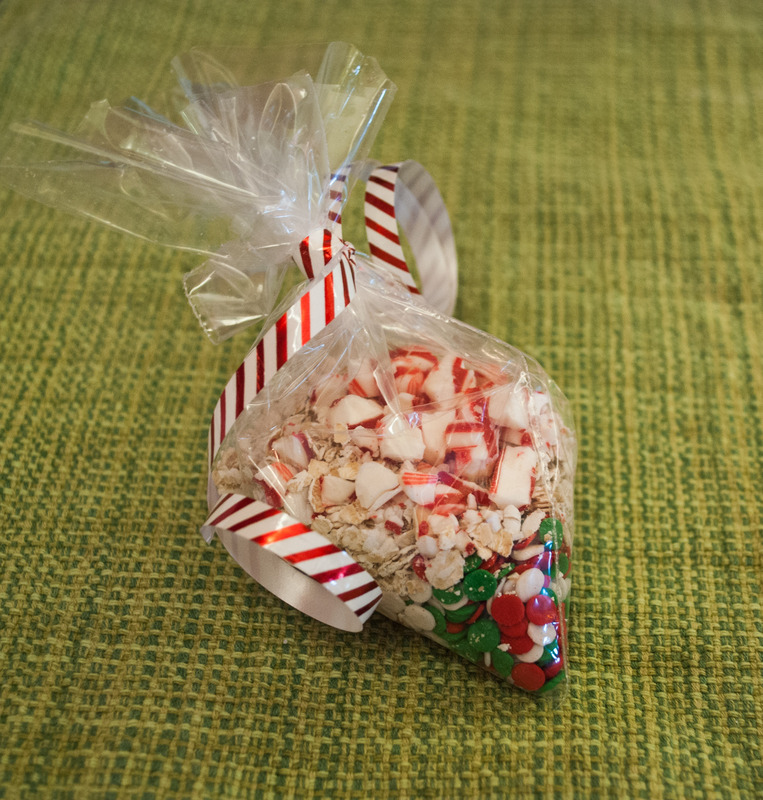 Add the crushed candy cane to the bag and secure with ribbon or yarn. Make it look prettier by cutting off the ziploc zipper on the top. I have the kids draw a reindeer, scan it and copy it multiple times onto a word processing page. I also make copies of a poem that I found on a website. There are several versions out there, but I like this one. I help the kids cut the poems and drawings. 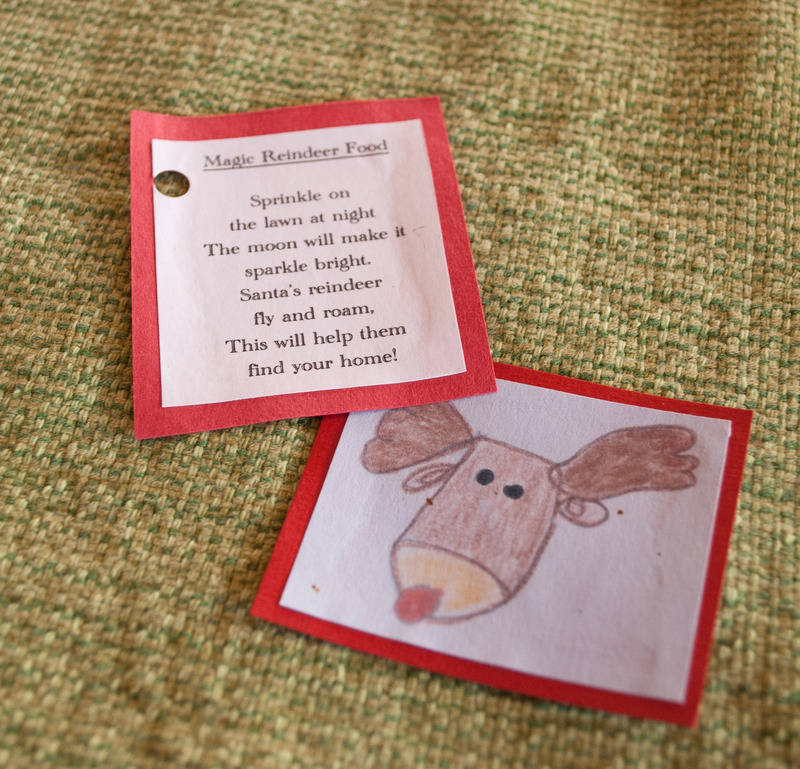 I also cut little squares of red paper, then have the kids glue the drawing on one side and the poem on the other. Punch a hole and string the tag on the ribbon. Its a cute way to tell others what to DO with the food! 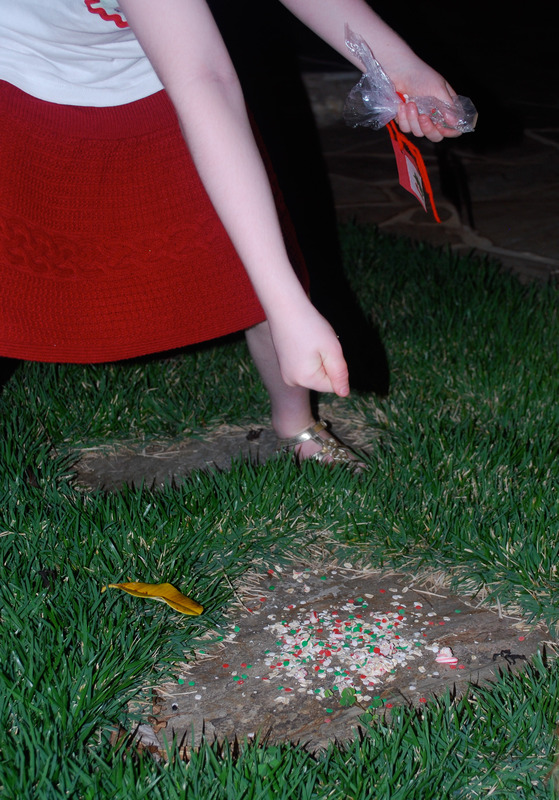 On Christmas Eve, right after we lay a plate of cookies out for Santa, we head out to the driveway to sprinkle the reindeer food. And, what do you know, it is GONE the next day!!! 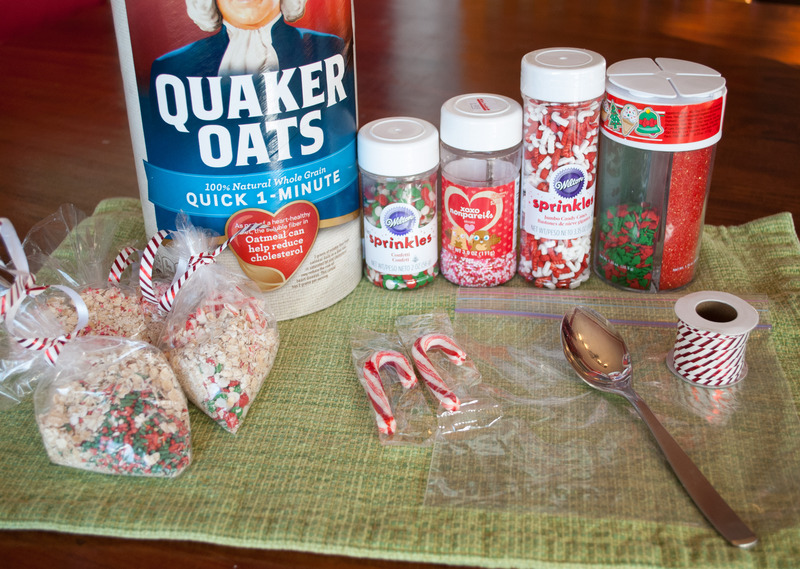 This entry was posted on January 25, 2013 by mdaucello in Christmas, Crafts, Holidays.